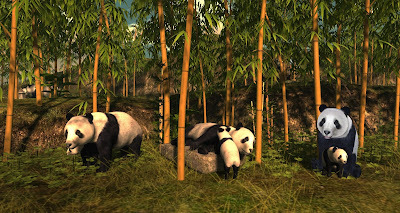 Sera Bellic scores yet again at Asia Fusion, a gorgeous construction of Asian-themed botanical and architectural design elements with just a touch of fun elements such as the panda family set among bamboo groves. 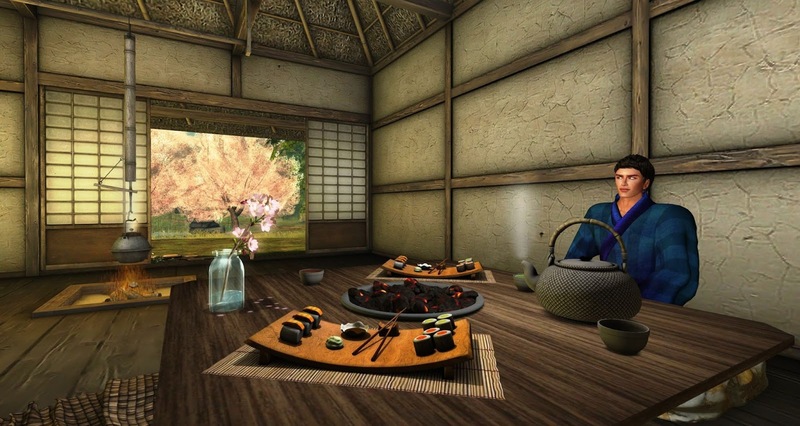 I found the interior of the tea houses with realistic sushi sets very delicious and inviting, and perfect for Springtime photography shots. This is a very relaxing destination to visit and one that you need to catch before the Second Life summer beachscapes set in. Highly recommended. 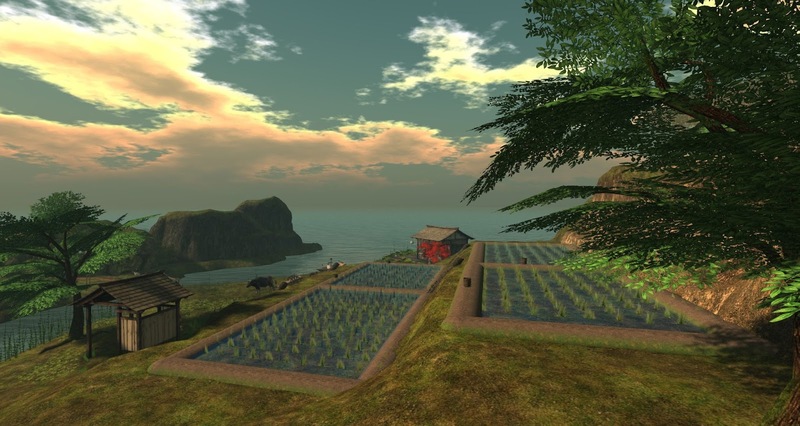 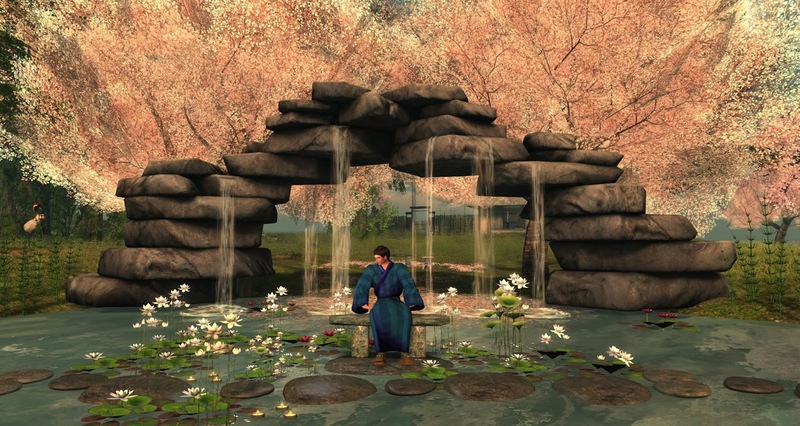 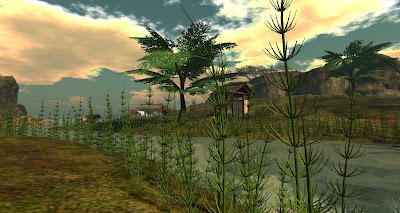 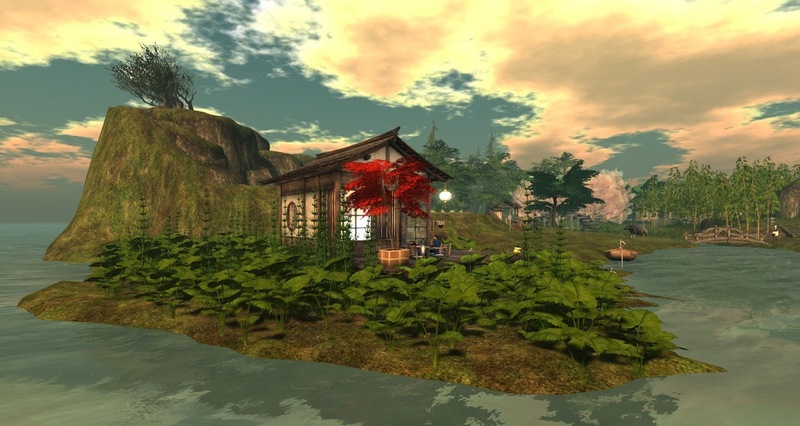 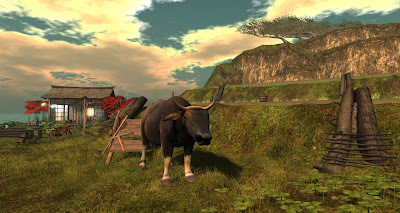 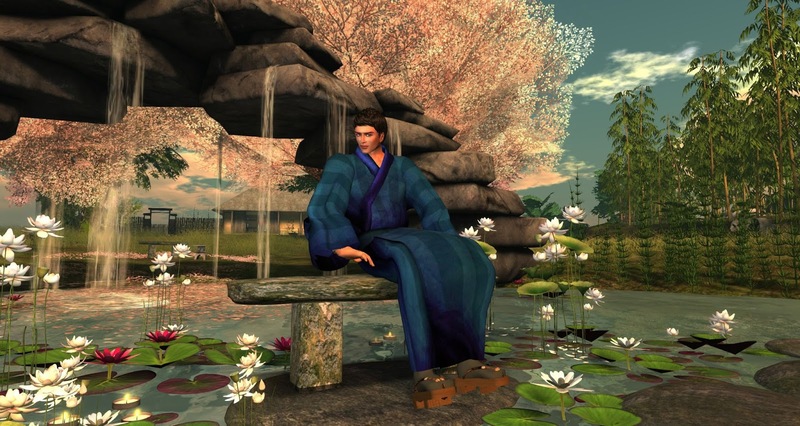 I used Windlight Sky Setting -- Annan Adored's Morning Dream in these images. 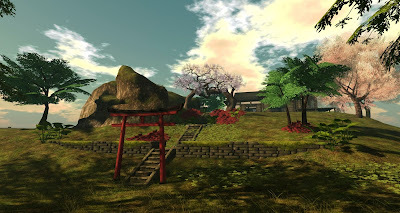 My version of the Firestorm viewer did not carry this Windlight Setting as an option in Advanced Environmental Editor.